All returns / exchanges must include order # on the outside of the box. If order # is not on the outside of the box package will be automatically refused upon arrival. If you do not know your order # please contact 516-802-3030 and we will provide you with it. *If order # shows that merchandise is being returned after 30days or is a final sale item package will be refused upon delivery and you will not be refunded for shipping. If there is a problem such as a damage with any final sale merchandise please contact us before sending it back and we will advise you. If you receive damaged merchandise or something is wrong with your order when you receive it please contact us within 48 hours. Presence NY does not assume return shipping costs. Purchaser is responsible for all shipping charges on all returns and exchanges. Some exceptions apply. Merchandise must be returned within 15 days for a full refund. Merchandise can be returned/exchanged up to 30 days for an online store credit. We will not issue any refunds after 15 days. We will not accept any returns/exchanges after 30 days. Merchandise will be refused upon delivery. Footwear must include the original shoe box in its original condition, without postal labels. Final Sale items may not be returned if merchandise is damaged please contact us immediately. 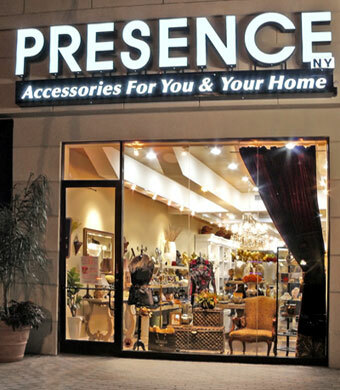 If your package arrives at Presence NY with in 15 days from the date you received for a refund your credit card will be credited within 5 business days. If your package arrives at Presence NY any time AFTER 15 days from the date you received it you will be issued an online store credit within 5 business days. You will not be refunded or credited back for shipping. You will receive an e-mail as soon as you refund/online store credit is issued. 1. Complete the return form included in your order and securely repackage your merchandise. Cover or remove any original mailing address label or carrier barcodes from package. 1. Drop off your package at a U.S. Postal Service mailbox or post office. 2. Please keep your tracking information for your records. 3. You will receive an email once your exchange has been processed. Please allow up to 10 business days from the time we receive your exchange for it to be processed. Please note if the item you are exchanging your merchandise for is out of stock you will receive either a refund (within 15 days) or an online store credit (after 15 days). You will be notified via e-mail. We can not hold merchandise, however you can place a new order and receive an online store credit or a refund when your returned merchandise arrives to our warehouse.